[prMac.com] Toronto (ON), Canada - Zevrix Solutions today announces the release of LinkOptimizer 5.2, a compatibility update to its image workflow automation solution for Adobe InDesign. 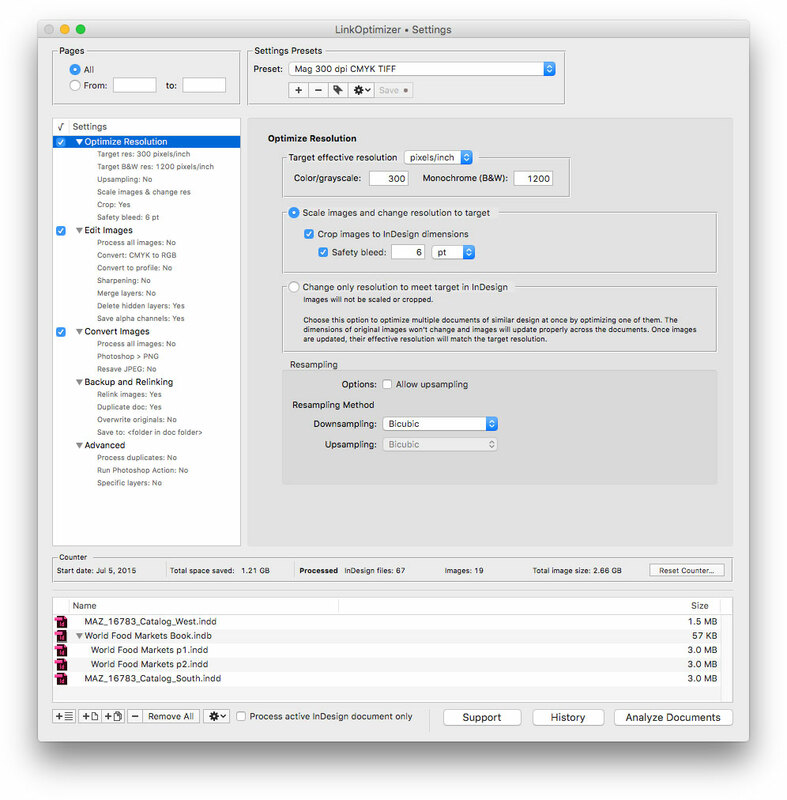 LinkOptimizer automates complex image manipulation tasks helping InDesign users reduce the link size, save processing time and production costs, and repurpose InDesign documents for web and mobile devices. LinkOptimizer can be purchased from Zevrix website for $259.95 USD (Lite version: $179.95) as well as from authorized resellers. Trial is also available for download. The update is free for LinkOptimizer 5.x users and $130 to upgrade from previous versions. LinkOptimizer requires macOS 10.7-10.14 and Adobe InDesign/Photoshop CS5-CC 2018.